Whether you're looking for sheet metal fabrication or general contracting, we have you covered. Our company offers a wide range of services designed to bolster the success of your projects and make your life easier every step of the way. The Crescent Mechanical, Inc. fabrication shop is fully prepared for any project that comes our way. With machinery that is capable of bending, rolling, and shearing, we can handle material from 26ga to 10ga. Our plasma CNC machine makes cutting out fittings and ductwork highly accurate and efficient. Our crew puts the highest level of workmanship and care into every project, so you always get the high-quality service you deserve. 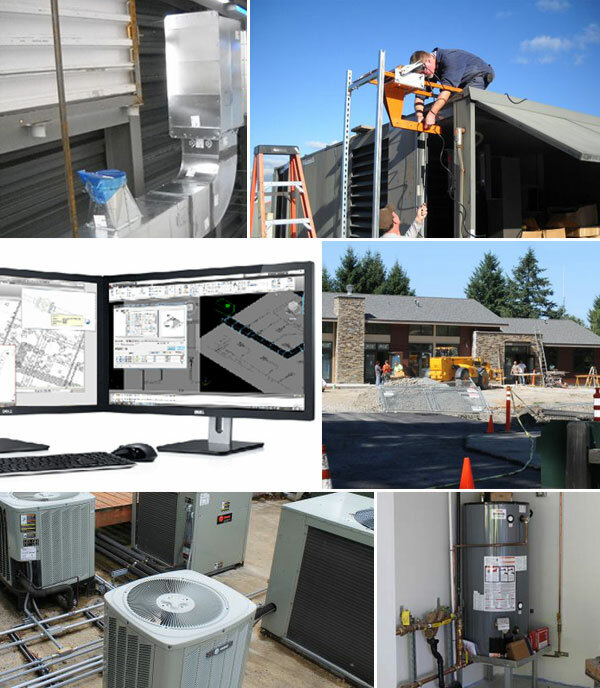 With this service, we offer project management from start to finish. Our industry-leading professionals will manage every aspect of your project so that the process is completely effortless for you. This includes obtaining all required permits, providing all equipment and supplies to complete the job, and a thorough job site cleanup. At the end of the installation, an extensive quality assurance checklist is followed to ensure you are satisfied with all aspects of the contracted work. For more information about how we can help you make the impossible a reality, please contact us. We work only with industry professionals who meet the highest standards for experience, know-how and customer service. Foremen and technicians are part of the Local Sheet Metal Worker's Association and receive education, training, and hands-on experience to continue strengthening their aptitude. Manufacturer guarantees are included with all HVAC products and systems installed by Crescent Mechanical, Inc. Additionally, all installation services are backed by a one-year warranty. We also offer our acclaimed Extended Service Agreements on products, labor, or both, providing peace of mind for the life of your building. To learn more, please view our maintenance plans. Crescent Mechanical, Inc. provides superior contracting, installation, and technical services for commercial and light industrial plumbing systems, including plumbing, sewage, and domestic water systems, as well as hydronics, and fuel gas piping. Our Plumbing Division is staffed by skilled journeymen with expertise in the industry and relationships with some of the most trusted names in plumbing pipes, drains, fittings, and plumbing fixtures. Be sure to visit our projects page to view some of our past and present work. We want to help you protect your HVAC investment. By scheduling maintenance services twice a year, you can keep your heating and cooling system working at peak performance. Knowledgeable, reliable service is just a phone call away when you purchase an Extended Maintenance Agreement. Please don't hesitate to reach out with any questions about purchasing coverage. From repairs and maintenance to installation, you can trust Crescent Mechanical, Inc. with all of your HVAC system needs. Take comfort in the confidence that all of our work is backed by licensed and insured Union contractors. Thinking About Replacements or Upgrades?